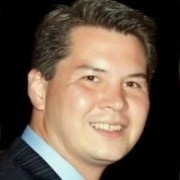 Mark Tan has worked in the financial services industry since 2003 and joined Strategic Financial Group in 2014 as a manager for the Naperville branch office. He specializes recruiting and developing new and experienced advisors. He also serves his individual and business clients with Life and Income protection plans, asset accumulation, distribution planning, and business overhead protection. Mark lives in Plainfield, IL with his wife, Camille, who also works in the industry, and has three children. His hobbies include automobiles, photography, and food. Mark is actively involved in the insurance industry, including lobbying efforts at both the state and federal levels. He served as the 2014-2015 President-Elect for the Illinois State Association of the National Association of Insurance and Financial Advisors (NAIFA). Mark is affiliated with The O.N. Equity Sales Company.